The Big Book of Beautiful Biscuits – A nice bit of alliteration from the Australian Women’s Weekly. This week I have finally managed to get around to doing a little bit of baking. I did this by waiting till the little-ist baker was asleep and then rushed to the kitchen and started grabbing out ingredients and then seeing what I could make. I made some chocolate muffins the other day and I didn’t fancy anything as time consuming as decorating pretty cupcakes so I decided to make some biscuits (cookies to Americans). I was going to just make some very basic shortbread but I wanted something a little more interesting, then I remembered a recipe in my Australian Women’s Weekly “The big book of beautiful biscuits” that I made for my mom on mother’s day. These used ground almonds and egg yolks, which you would think would make them very cakey in texture, but they are actually quite short. The recipe in the book is nothing like how my biscuits came out because I only used the base for them. 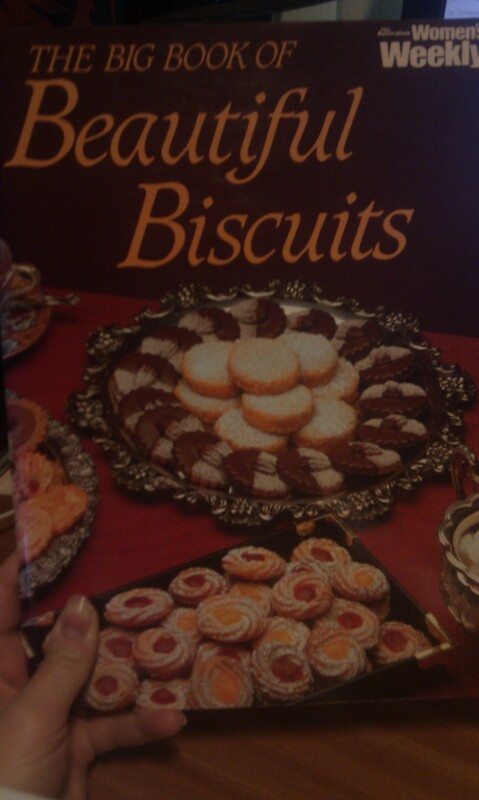 If you have this cookbook then they are on page 4 titled Almond Maraschino Biscuits! I’m sorry for anyone in the uk that this recipe is going to be in cups; as this is what was used in the book I used them to as I couldn’t be bothered to work out the weight into pounds and ounces or grams. I hope you enjoy these as much as I did? In a bowl mix the flour, cocoa powder, ground almonds and sugar. Rub the butter into the mix until it looks like breadcrumbs. Add the 2 egg yolks and Amaretto liqueur and combine with your hands till it just starts to come together. Mix in the Marzipan till it is roughly distributed in the dough. Try not to overwork the dough at this point. On a floured surface roll out the dough till it is about an inch thick and cut out whatever shapes you like. I used a round cutter with scalloped edges. Position onto a baking try and bake in the oven till they feel just soft in the middle – this will take about 12-15 minutes. It is difficult to see whether the edges have turned a little brown because of them being chocolate. 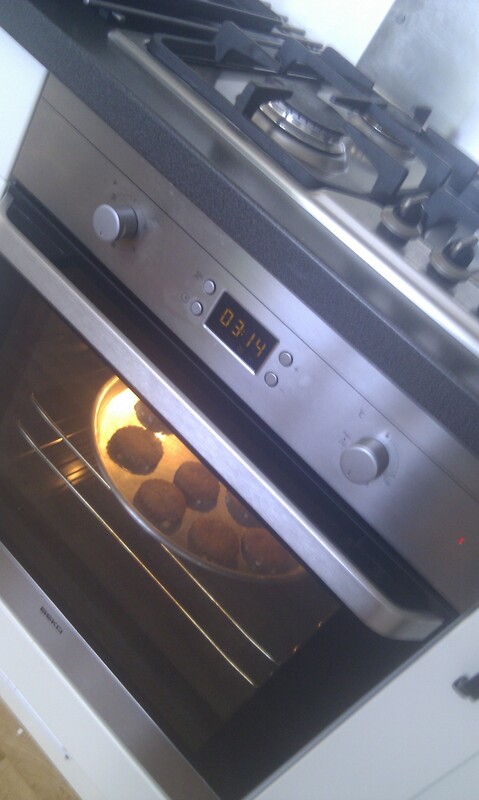 Once baked, take out of the oven and allow to cool. If you want to you can decorate them with icing sugar or icing or just be like me and eat them with a cuppa tea. A few months ago I was reading through my Italian cookie cookbook and found there were quite a few recipes which use aniseed extract. Great, my husband loves aniseed and liquorice flavoured things so I thought it would be a lovely treat for him to make him something with these flavours and I began to look about in shops for aniseed or anise extract to use. Unfortunately, it seemed to be a very elusive product to buy in a store, so much so that the only way I was going to get it was to buy online or make my own. Usually I’m a big fan of online shopping as you can always get what you need at a cheap price, but this time I found I was having difficulty. There were two problems: there weren’t many shops selling and the shops that did sell it only sold in bulk orders. I was left with only one viable option and that was to make it myself. Luckily I had bought some star anise a while ago from Stratford upon Avon which I always thought would come in handy (but I wasn’t entirely sure what to do with it). Making it was very simple just add star anise and vodka and ta-dah, you’re own extract after waiting just 3 months. What?! 3 MONTHS! I’m not exactly the most patient person but I had no choice so in July I bottled it up and waited…until October. If you’ve been following my life you’ll realise that October was a pretty eventful month as my baby decided it was time to make her appearance into the world. Unsurprisingly, I never got round to using my extract until now, 6 months after I started it. 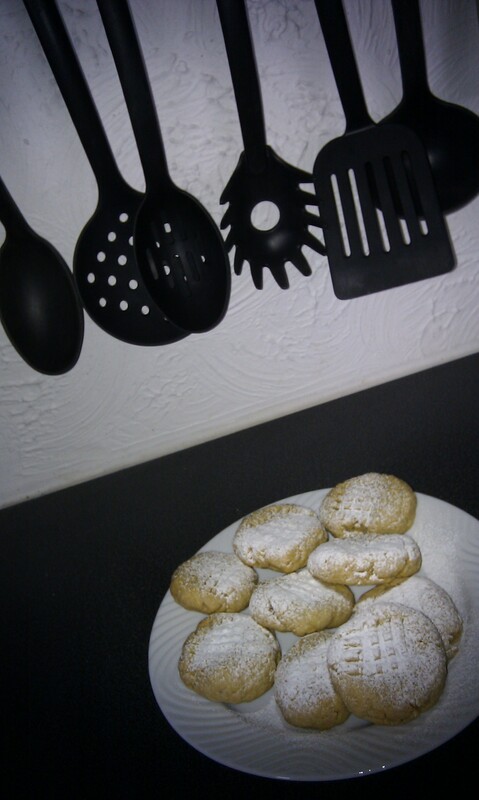 I decided to make some Italian anise cookies with it for my husband and I’m really pleased with it. I’m glad after all that time it was worth the wait. Anise/Aniseed extract Half fill a small air tight jar with Star Anise then pour enough good quality vodka to cover them completely. Put the lid on and leave for at least 3 months. Every week (ish) give the jar a gentle shake but do not open till its ready. Its useful to write the date on you started it so you don’t forget. Italian Anise and Almond cookies I used this fab recipe to make the cookies – Anise and Almond Cookies They are very authentic Italian in their taste and look very home made when finished, but I think that’s what gives them charm. I made the cookies without the flavour, then split the batch into two and added the aniseed extract to half and flavoured the other half with Almond. 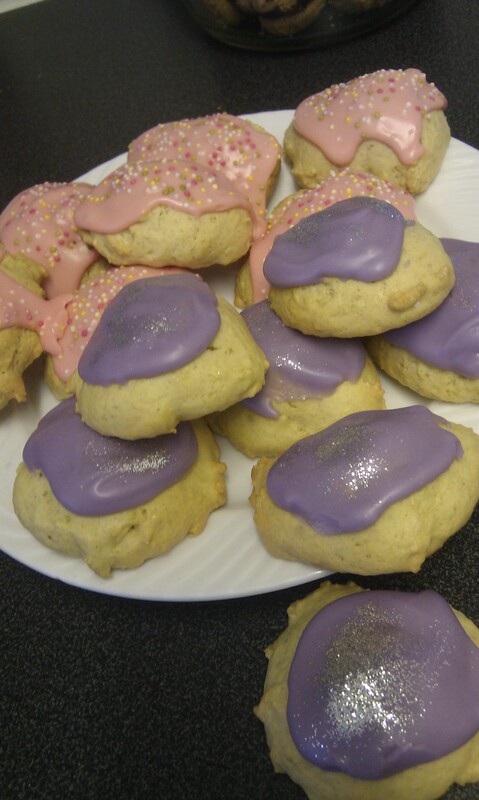 The pink ones are Anise and the purple ones with glitter are Almond.